Carmen Medrano is the Executive Director at United for a New Economy. Carmen is returning to Colorado after five years of serving in roles with the Faith in Action Network, including organizing with Colorado Dreamers to pass legislation allowing instate tuition for undocumented students, and leading a variety of civic engagement programs in six states. During her tenure she organized at a national level with Faith in Action’s Campaign for Citizenship, where she trained grassroots leaders to lead efforts across the country for passage of a comprehensive immigration bill. In the Fall of 2014, she brought her expertise and passion for social change to the Central Valley of California, where she most recently led the merger of five separate affiliate organizations into one powerhouse, that works to empower grassroots community leaders to address racial, economic, and health equity. Carmen was born in Mexico and came to Colorado at the age of 4, where she graduated from the University of Denver with a B.A. in Psychology. Carmen’s leadership skills, organizing experience, commitment to economic justice and love for Colorado make her the perfect fit to lead UNE into our future. 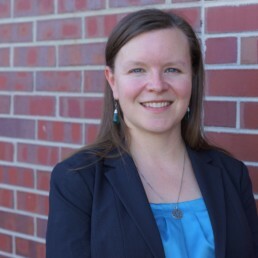 Desiree Westlund Cindric is the Deputy Director of Policy & Operations at United for a New Economy. She joined UNE in 2011 to build out UNE’s grassroots organizing capacity and forward UNE’s efforts to integrate organizing and policy into local power-building for justice. Desiree came into community organizing work through immigrant justice solidarity and coalition building in Denver. She worked previously as a labor organizer with SEIU and community organizer with Together Colorado. She led the coalition that won passage of the Wage Protection Act in Colorado in 2014 and is a founding member of Mile High Connects, a collaboration of more than 20 philanthropies and nonprofits dedicated to ensuring that all people benefit from the Denver region’s transportation expansion. Desiree is now raising the 4th generation of her family to live in Adams county and has weekly dinners with all 4 generations under one roof. Desiree works for UNE to form part of a community that is fighting and resisting oppression, while also building the systems and change that we do want. Celesté Martinez is the Organizing Director for United for a New Economy. She joined in 2018 to strengthen UNE’s commitment to being a powerful member led organization for Colorado. Celesté’s family comes from the borderlands of South Texas and a long history of struggle with limited access to education, health care, and jobs to this day. Growing up with the awareness of how much suffering inequity and injustice can cause, she was struck by how the immigrant community in Colorado faced such blatant discrimination and violence. For this reason, Celesté committed her education to receiving a dual Bachelor’s of Arts in Philosophy and Peace & Justice Studies from Regis University. Celesté lived in El Salvador in 2014, where she saw first hand how U.S. foreign policy contributes to poverty, gang violence and forced migration of Central Americans. Upon her return to Colorado, she worked for El Centro Humanitario para los Trabajadores furthering her passion to fight for racial, economic and immigrant justice. Over the past three years, Celesté worked as a Bilingual Organizer with Together Colorado. There she organized with multi-cultural Catholic parishes in the greater Metro-Denver area as well as led the local, state and national efforts for immigrant rights. Lorrine Banzie has been the Office Manager at UNE since 2015. Her role is to manage the day to day organizational operations; from admin and bookkeeping to human resources. Lorrine’s passion for this work stems from her personal experience as an immigrant from Zimbabwe; she came to the United States in 2000 for a better life in the midst of her own country’s internal military conflict and the desire to protect her family. This experience has guided her to be a fighter, if you want a better life you have to go out and get it. Or in the words of her favorite South African, “It Always Seems impossible until it’s Done!”-Nelson Mandela. Lorrine became a naturalized citizen in 2016! Prior to coming to UNE, Lorrine worked 5 years at Union Taxi. While there she fought for over two years for a union and won the fight for OPEIU local 30 in 2013. Lorrine loves to travel, enjoys watching sports such as soccer, her favorite team is Manchester United, the Denver Broncos and Basketball. Eric Leveridge is a Policy Analyst at United for a New Economy. He joined UNE after interning with the policy team, and he works closely with the organizing team and UNE’s partners to provide research and analysis in support of their campaigns. Originally from Oklahoma City, Eric began his career in law, focusing on immigration law and policy and international human rights. Frustrated with the legal profession, he moved to Denver in 2015 to support grassroots social justice movements. He previously interned as an immigrant rights organizer with Coloradans for Immigrant Rights in Denver. Eric is passionate about economic justice and believes that everyone is his community deserves to live and work with dignity. He holds a law degree from American University in Washington, D.C. and a master’s degree in social work from the University of Denver. He lives in Denver with his partner Amy and their corgi Arlo. Karla Loaiza is the Community Organizer for our Aurora upcoming Chapter at United for a New Economy. 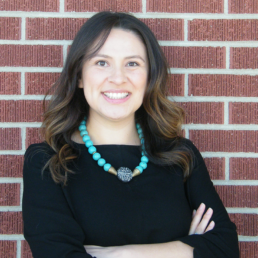 Karla has 14 years’ experience in grassroots community organizing with Together Colorado. Karla has had well-rounded exposure to the power of relationships, strategical thinking and action-oriented skills and abilities related to grass roots organizing. Most recently she was part of The Civic Canopy’s Team. Stewarding the SHARE Network, working closely with the steering committee, community partners and overall building the capacity of resident leaders related to Healthy Eating and Active Living in North East Denver. 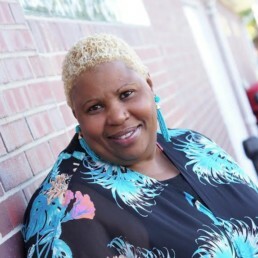 Along Karla’s life journey she has been inspired by many, one person in particular gave Karla a 360-life course correction that changed her life and the life of her 2 sons, with the introduction to grass roots organizing. It was her dear friend, mentor and seasoned organizer Patty Lawless, who saw in Karla what she didn’t see in herself many moons ago. Now, Karla strives to inspire others to find their voice and activate their gifts and talents, through community organizing, like she was once inspired to do! Aimee is the Digital Organizer at United for a New Economy. Aimee is a longtime resident of Colorado and brings to our table 20+ years in digital presence management and development, a passion for social justice, and extensive experience with sustainable urban development, progressive media watchdog organization Colorado MediaMatters, the Colorado Juvenile Defender Center, and many years of volunteer web development and maintenance for charitable causes. In her spare time she volunteers as a Distributed Proofreader for Project Gutenberg, continues to assist with web development, oversight, and maintenance for various community projects, maintains a small lending e-library, and can frequently be found on reddit, github, and tvtropes. Please feel free to contact her with any media inquiries or technical issues via email here. Amanda is the Organizer Intern at United for a New Economy.